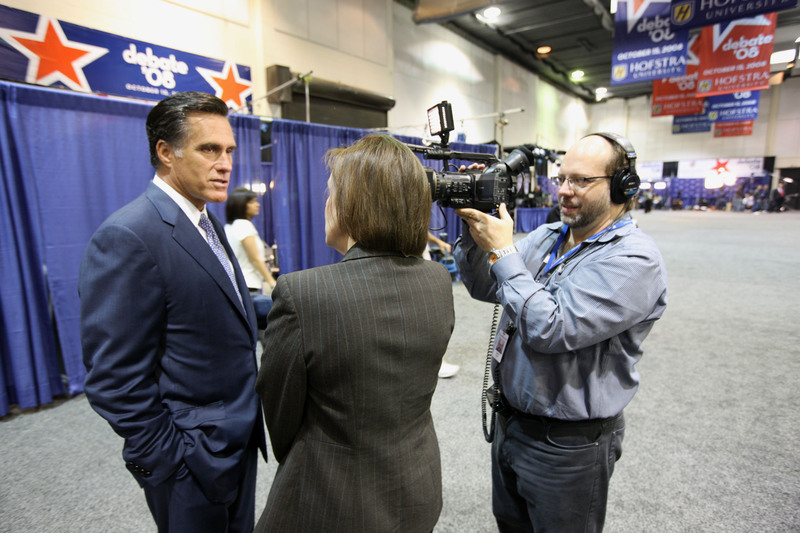 At the presidential debates at Hofstra University in Long Island last Wednesday, I worked alongside TIME National Political Correspondent Karen Tumulty. We roamed the press filing area and the famed Budweiser Tent — where reporters and politicos rub elbows — to produce a video segment for TIME.com. Other folks we chatted with included: Governor Bill Richardson; Howard Dean (D) and Mike Duncan (R), the chairmen of the two parties’ national committees; Rep. Rahm Emanuel of Chicago; and we caught a glimpse of Triumph the Insult Comic Dog (masquerading as Joe the Plumber). I’ve been “catching up” with you via your blog and, well, amazing! Congratulations on the job with Time back in June and, I must presume, right up to the present. They could not have made a better choice as I’m sure they discovered early on. If an when you have a spare moment – yeah, suure – I’d surely like hear more from YOU. Not certain about “moderation” but…write when you can. Thanks.